◄ And amazingly it’s in the US, the home of general security insanity. 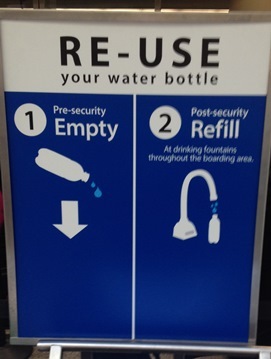 Arriving at security at San Francisco International Airport I encountered this sign, inviting you to empty your water bottle, take the empty bottle through security and refill it from a water fountain on the other side. Terrific!